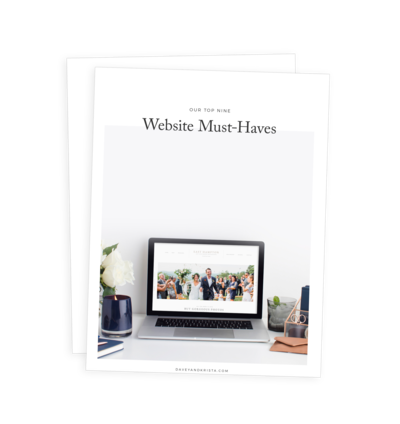 These three tools help us maximize our online sales: ThriveCart, Deadline Funnels, ConvertKit. We couldn’t imagine selling products without them. How we use videos to cut back on emails and meetings. Loom is a free Chrome extension that can be easily used to create and share screencasts with others. This post is about preventing difficult client situations before they happen. While there a whole lot of things one can do to prevent such situations, much of learning how to avoid difficult clients comes down to experience. Here’s our best attempt at sharing what we’ve learned from our experiences so that you might have one less difficult client experience. Once in a while we work with difficult clients. It happens—even after years of being in business and developing different ways to screen prospective clients. Chances are you’ll work with a difficult client, too. Maybe that’s why you’re here in the first place. You’re already “in it” and you’re looking for ways to deal with it. Or maybe you’re looking to avoid this experience altogether. Blakely Little of BlakelyMade shares about making a living as an artist and her recent collaboration with Anthropologie. She is giving us her insights into creative work, staying inspired, to creating when you don’t feel like it, and much more!